Look rich in a new car for under $20,000! Don’t be mislead by the $33,600 average transaction price for a new 2016 vehicle. That’s inflated by SUVs and big pickups, where $45,000 sticker prices are the norm. In reality, more than one-third of buyers will pay $17,000 to $26,000 for their new 2016 car (usually a subcompact or compact) or new SUV (typically a small crossover). If that’s your comfort zone, here are seven ways to meet your budget and not look like you’re a slave to it. We include a variety of body styles, even a subcompact crossover, each guaranteed to make you look…well, richer than you probably are. Get into any one for under 20 grand or dig a little deeper and treat yourself to more features while staying within the same look-rich model line. Please note that all these base prices include the manufacturer’s destination charges, which average around $900. 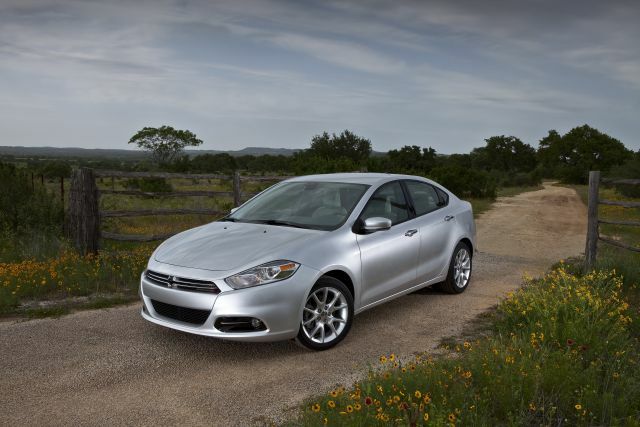 Though it’s difficult to tell the players without a proverbial scorecard in the crowded compact-sedan segment, the Dart stands out for sleek European-inspired styling. Indeed, it shares its underskin design and mechanical heritage with its paisan from across the ocean, the Alfa Romeo Giulietta, though it’s built in the heartland of America (Belvedere, Illinois). No matter, the well-honed eye for fashion extends to the car’s roomy interior, which – like the best haute couture– is finished in quality materials. There’s a choice of three four cylinder engines and three transmissions, with the best performing combination arguably being the 2.4-liter 184-horsepower turbocharged four-cylinder engine and responsive dual-clutch automated manual transmission of the kind offered in many costlier European rides. Those keeping an eye on the gas gauge might choose the Aero version that’s rated at 28/32/41 mpg city/highway/combined, while enthusiastic drivers should consider the top GT model with assorted performance-minded upgrades and specific trim items. Available amenities are plentiful and include push button entry/start, a blind spot monitor with cross path detection and a refreshingly easy-to-master infotainment system with navigation.